His presidency reminds us that this country has relied for too long on a “gentleman’s agreement” to maintain a civil society. We must demand a thorough reconstruction of our politics. As the second anniversary of Donald Trump’s inauguration approached, this is what happened over the course of just one 72-hour period: The damage done by the longest government shutdown in the history of the republic deepened, as 800,000 federal workers went without pay, with many lining up at soup kitchens or registering their children for free or low-cost school meals; the new speaker of the House proposed delaying the State of the Union address until the crisis that Trump said he was proud to provoke could be resolved; the president responded not by negotiating, but by effectively canceling a visit to US troops in Afghanistan by the speaker and members of Congress; Trump’s nominee for attorney general said he couldn’t rule out jailing reporters for doing their jobs; senators raced to enact bipartisan legislation to prevent Trump from unilaterally pulling the United States out of NATO; Trump’s current lawyer abandoned 18 months of claims that there was “no collusion” between his client’s 2016 campaign and the Russians, unleashing a new wave of what Politico referred to as “Team Trump infighting”; and the president’s former lawyer acknowledged that “at the direction of and for the sole benefit of @realDonaldTrump,” he had conspired to rig online poll numbers in Trump’s favor. The first two years of Trump’s tenure in the White House have upended all the norms of American politics and governing, creating not only chaos but a sense of foreboding about the stability of the country. Beyond the arbitrary “halfway point” measure of the nightmare that is this particular presidency, however, is the reality of what Trump has revealed to us. Ever since he stepped onto the presidential stage in 2015, as an unlikely and unprepared contender for the Republican nomination, Trump has been confirming the deep vulnerabilities of the American experiment as it is currently constructed. He has outed the Republican Party as an unprincipled cabal that craves power at any cost. He has proved that our diminished media system, in which civic and democratic values have been replaced by the pursuit of clicks and ratings, is more easily manipulated by charlatans than the free press ever has been since the founders recognized it as a vital underpinning of popular government. He has reminded us that the Electoral College—which in 2016 handed the presidency to the loser of the popular vote for the second time in two decades—thwarts rather than confirms the will of the people. He has shown us that, in an age of hyper-partisanship reinforced by gerrymandering and the influence of money in politics, our system of checks and balances can fail to function when one party controls the executive and legislative branches. He has confirmed that we have an imperial presidency that can make a mockery of cabinet governance, pack the courts with ideological automatons, undermine the rule of law, obstruct justice, and skirt accountability for extended periods of time. 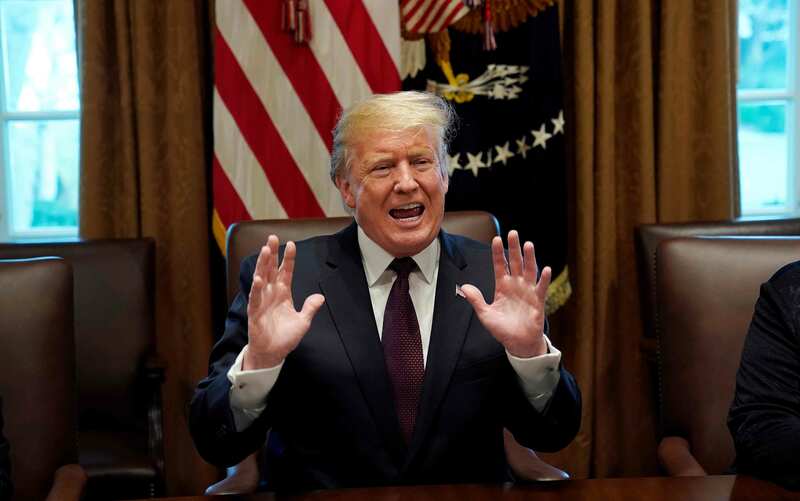 It may be that Trump’s accountability moment will come this year, when special counsel Robert Mueller’s report is completed, or with further revelations that the president has engaged in actions echoing those that led to articles of impeachment against Richard Nixon. But if it doesn’t come this year, it must come at the close of the 2020 election season, which needs to address not just the man but the crisis he has precipitated. Trump’s presidency reminds us that, for too long, this country has relied on the false promise of a “gentleman’s agreement” to maintain some semblance of civil society. We were told that our debates would invariably involve reasonable men and women from the two major parties, who accepted and respected certain standards—not least an oath of office that was supposed to bind them to support and defend the Constitution. Trump and his Republican allies have not merely abandoned these commitments; they have exploited every opening to take advantage of the power that ill-defined processes and porous systems allow them to accumulate. The situation they have created exposes just how vulnerable we have always been as Americans, and it points to structural flaws that cannot go unaddressed any longer. The Republicans may be dragged, kicking and screaming, to the point where they reject Trump. But they cannot be counted on to address the vulnerabilities that have made Trump possible. The question of whether the Democrats who are now preparing their presidential bids are ready to propose democracy-enhancing rule changes, legal interventions, and constitutional reforms—to how Congress operates, how our elections are organized and financed, how our system of checks and balances works—has yet to be answered. The response to this political crisis cannot be left to chance, however. Citizens must give no quarter in demanding ironclad proposals for a reconstruction of our politics and our governance that truly ends the Trump era. No halfway measures will suffice, and no cautious contenders need apply.